Tuesday 18th April 2017 – total 797 miles. Sunny but cool this morning. 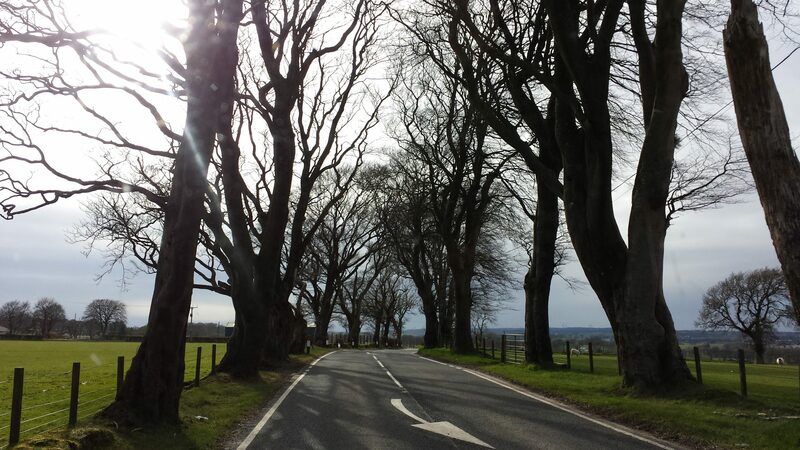 Our first stop was not far along the road at Ecelfechan where we visited Mary. 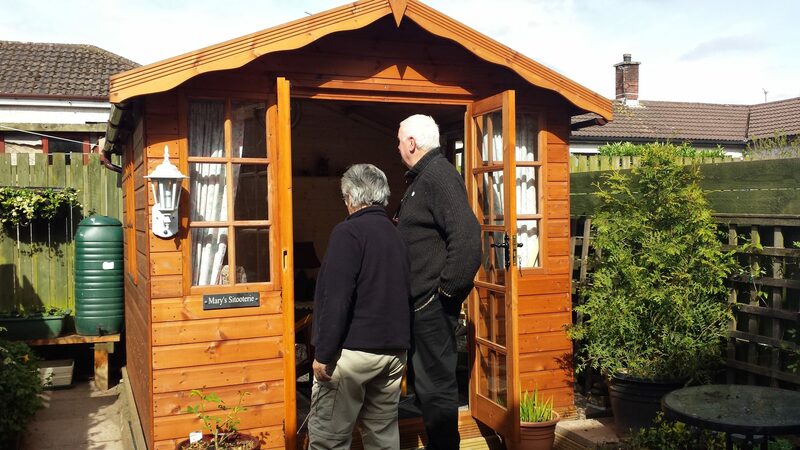 We sat in the beautiful garden shed that she has built, named Mary’s Sitooterie, and had coffee and a slice of homemade fruit cake. Such a pleasure to meet you again Mary and we look forward to seeing you again in the future. 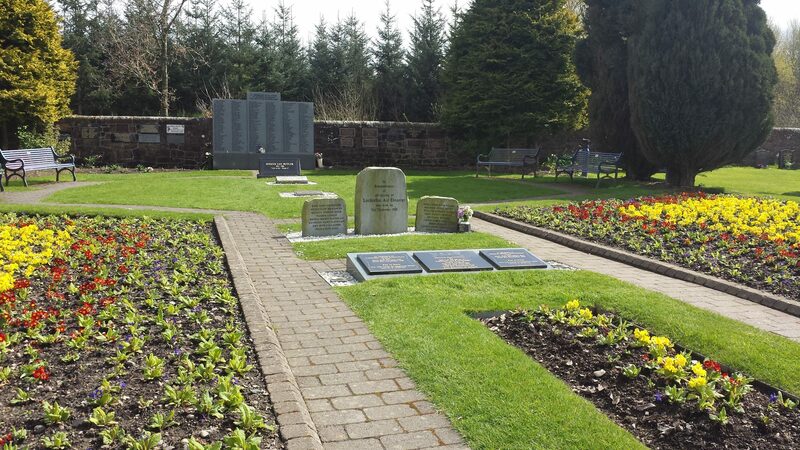 Lockerbie was our next port of call and this year we turned left at the traffic lights in town and drove just over a mile to the Lockerbie Cemetery and the Memorial Garden dedicated to the 230 people who died on the night of 21st December 1988. We also visited the visitor’s centre where Pam Copeland made us very welcome. She encouraged us to take a walk through the nature reserve just across the road where we might get to see some red squirrels. 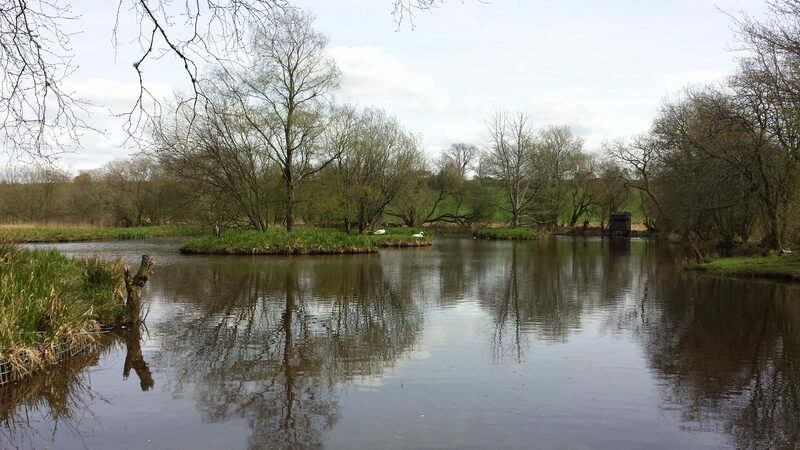 The Eskrigg Nature Reserve is well worth a visit. We walked down through the woods and came to a small lake and bird hide and, a little further on, another hide for observing the squirrels. 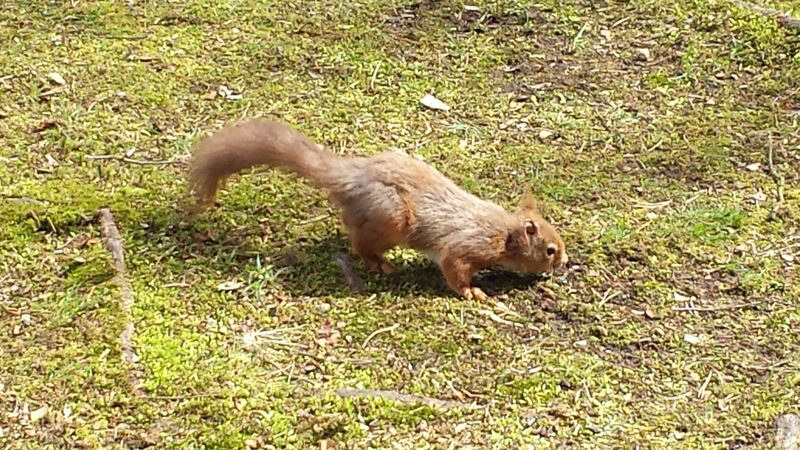 We sat on a bench nearby and watched a red squirrel collecting hazelnuts to eat – it was not bothered by us and came quite close. We enjoyed our time at the nature reserve and are glad that we took the time out to visit. It was lovely to eventually meet you both. Safe travels on the rest of your amazing adventure.